Godolpgin representative Darren Beadman had high praise for jockey Rachel King after Resin’s win. As races go, the Group Three Nivison doesn’t rate as highly as the Caulfield Cup for Godolphin but Resin’s win at Randwick has been a pleasing one for the Australian arm of Sheikh Mohammed’s global racing empire. A little while before Saeed bin Suroor celebrated his second Caulfield Cup when Best Solution kept Homesman at bay, Resin claimed the 1200m-feature for mares at Randwick on Saturday. The second foal from grand race mare Beaded, Resin ($4.60) was strong to the line to to hold a 2-1/4 length margin on the fast-finishing Almanzora ($18) with Eckstein ($5.50) another short half head third. Beaded was a Group One winner and multiple placegetter for the sheikh’s Darley operation. 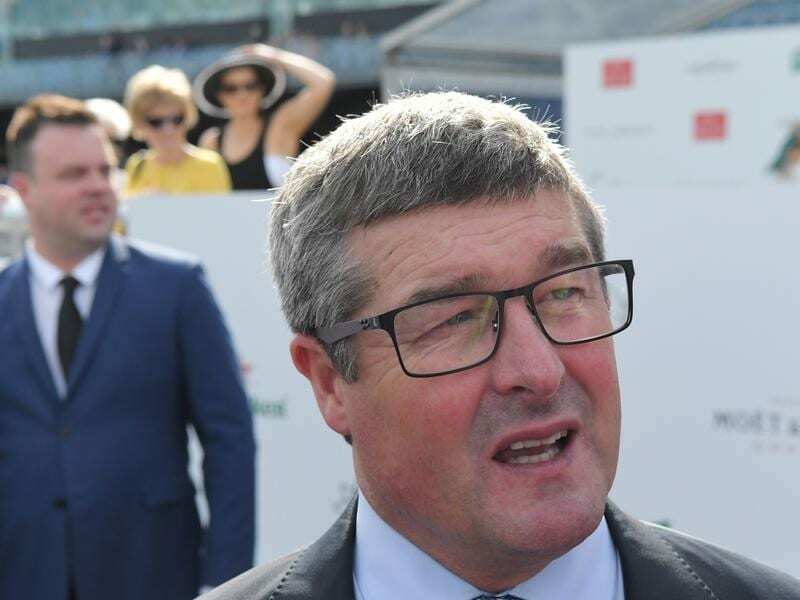 The mare brought up Rachel King’s third for the day and the jockey drew high praise from retired champion rider Darren Beadman representing Godolphin. “It was a win-win for everyone concerned,” Beadman said. “It was a lovely ride by Rachel, she seems to get on well with the mare. “She’s not one to mention it but she can ride anywhere in the field, good on soft ground, firm ground, any distance. Last season’s champion apprentice in Sydney, King rode her first Group One winner two weeks ago on the Mark Newnham-trained Maid Of Heaven. She said Resin had handled her first Group Three assignment with aplomb. “There’s not much of her but she must have the biggest heart going because she just won’t give in,” King said. The Joe Pride-trained Pecans was a late scratching from the Nivison after being kicked by another horse behind the gates. Pride’s day got worse a race later when Passage Of Time was also a late withdrawal after becoming fractious in his barrier. King’s other wins were aboard the Gary Portelli-trained debutant Time To Reign in the Kirkham Plate for two-year-olds and The Lion, a late pick-up ride in the Highway Handicap. Time To Reign is a half brother to 2017 Golden Slipper winner She Will Reign, also trained by Portelli for Darby Racing.